Don’t Forget To Visit This!!! 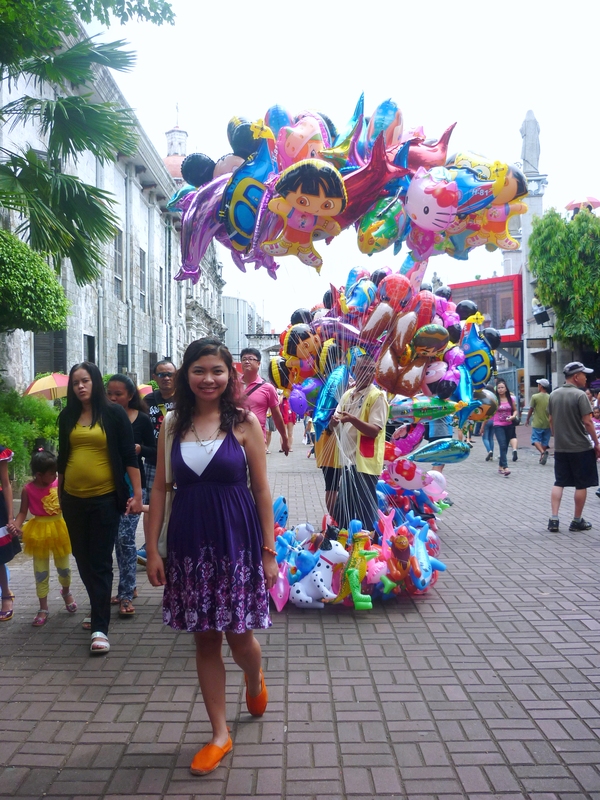 This picture is the picture of a usual Sunday morning in this part of Cebu. It is where families gather, where vendors flock and try to catch your attention with their colorful wares, where tourists like to stop and look around and, of course, take pictures. It is the picture of chaos and activity, but don’t dismiss this just yet as again another attraction. 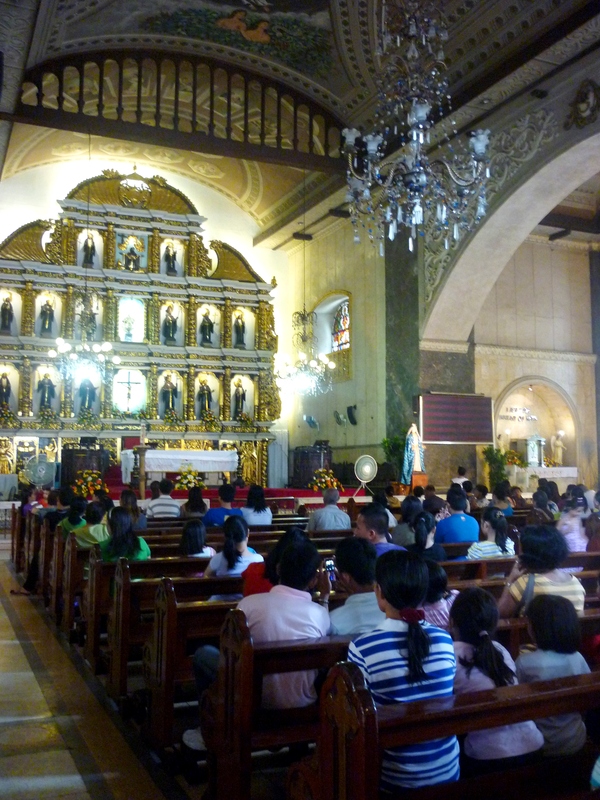 It is none other than the Basilica Minore del Santo Niῆo (translated in English as the “Minor Basilica of the Holy Child.”). 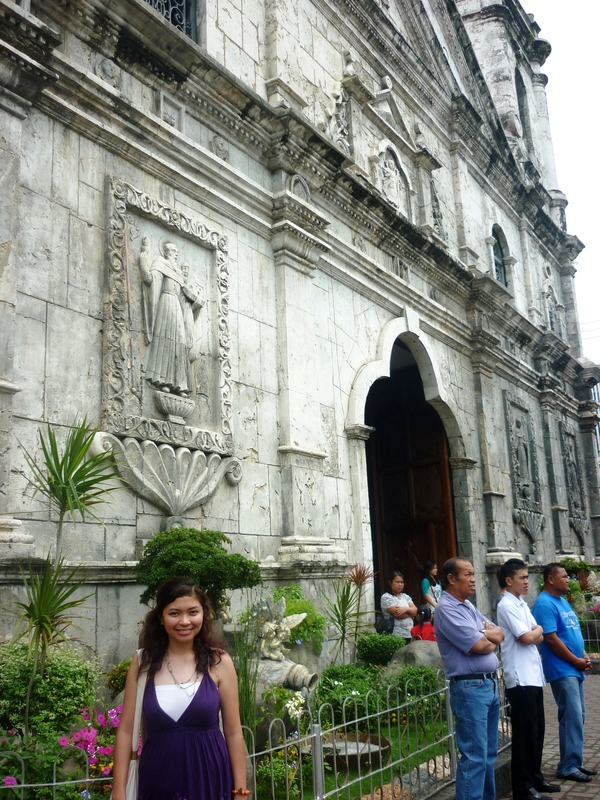 This grand structure is the oldest church in the Philippines, built in 1565. There is an interesting story why this church was built. This story is centered on a wooden image of the Santo Niῆo, considered to be the oldest religious relic in the country. This image dates back to the arrival of Ferdinand Magellan in the Philippines in 1521. He presented this to the rulers of the island at the time, Queen Juana and King Humabon, at their Catholic baptism. It was actually his gift for Queen Juana. 44 years later, in 1565, Miguel Lopez de Legazpi arrived in Cebu with a priest named Father Andres de Urdaneta in order to formally Christianize the natives, who resisted and were hostile. Lopez de Legazpi, then, set the village of the natives on fire. Afterwards, a soldier walking among the burnt houses, Juan Camus, found the image of the Santo Niῆo unscathed. It was at this site where Lopez de Legazpi ordered a church to be erected, making this the first Catholic church in the country. BUT WAIT – the story does not stop there. After being built in 1565, the church was actually burned down THREE TIMES. 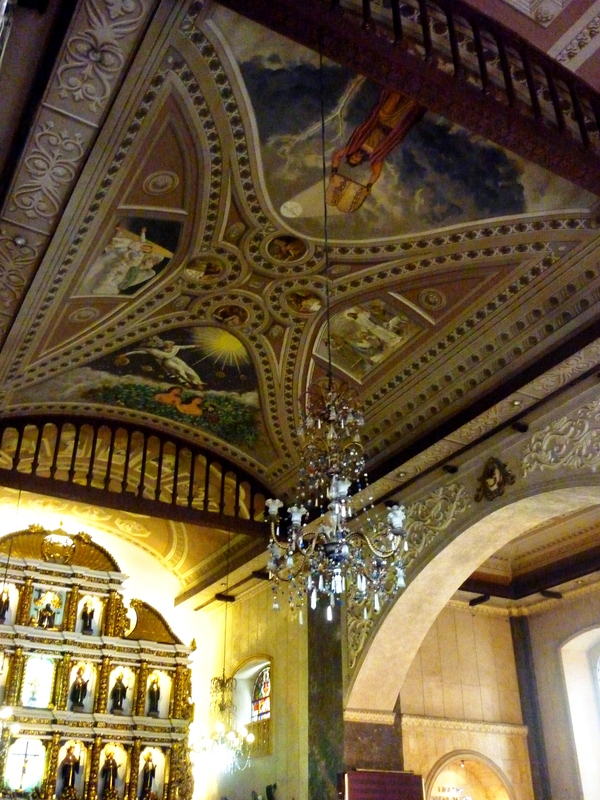 It was rebuilt in 1737, which has survived through the years, serving as the basilica we now know today. So the Santo Niῆo we see today is over 490 years old and it is considered to be miraculous, having survived so many fires through the years. This image is the centerpiece of the Sinulog festival, an annual celebration in Cebu that is said to be the grandest and biggest festival in the Philippines. I have yet to witness this much-talked-about festival and I do hope to be lucky enough to be part of it one day! Wow! Who knew this basilica can hold such a rich heritage? I can’t believe this has survived three fires! And the actual building stood the test of time for more than 270 years already!!! More than my amazement, I really feel the deep faith and devotion of the people who come here. I am not the most devout Catholic out there, but today, something was stirred in my heart as I prayed along with these people. I wonder how many months or years it took to built this impenetrable church. I wonder how many sleepless nights or stifling hot days had been spent by the laborers carving out these delicate works of art and how hard they must have worked. As much as we admire timeless and glorious structures, I think we should also pause and reflect about the artistry and craftsmanship that went into these things, and the sheer labor it took to put them together. That little pause and remembrance of such things, in my opinion, will further enhance the value of these grand structures, but more than that, you will develop an appreciation for the people who made it happen.